To reactivate your subscription, sign in to your profile. From there, click on your username in top right corner and select “Account”. 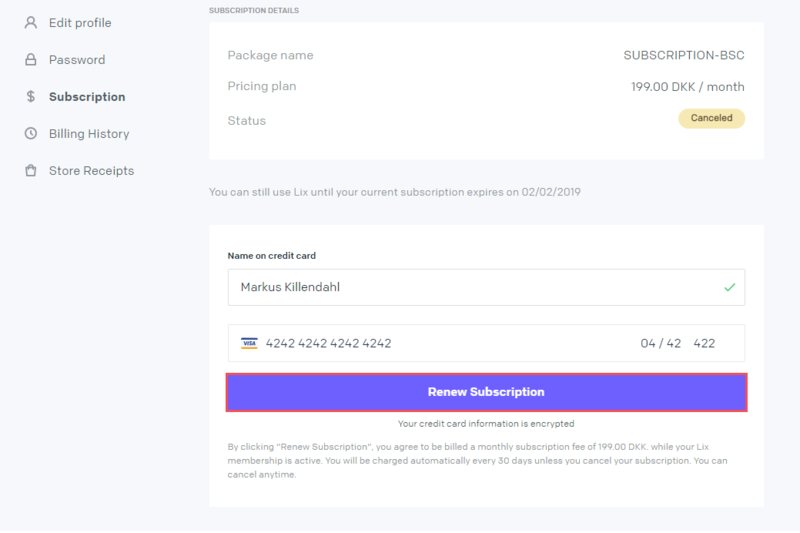 Under account, select “Subscription” and click “Renew Subscription”. From there, simply input your credit card details and hit “Renew Subscription” again. After you’ve entered your details, you’ll be billed for your Lix subscription on a monthly basis.